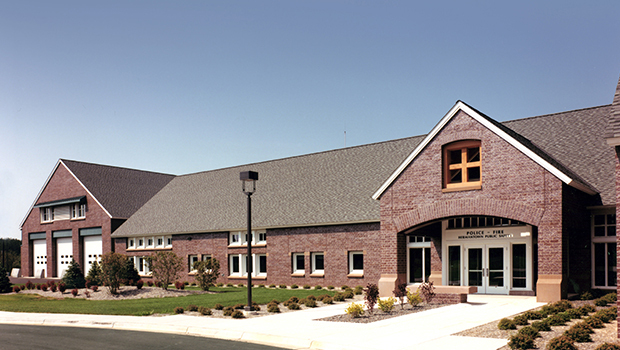 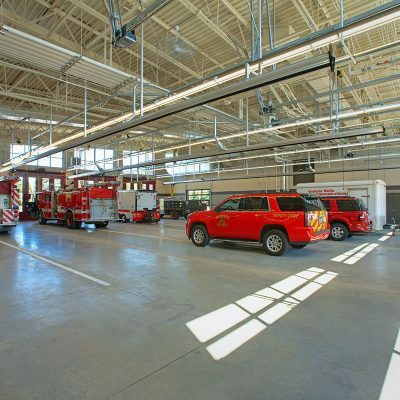 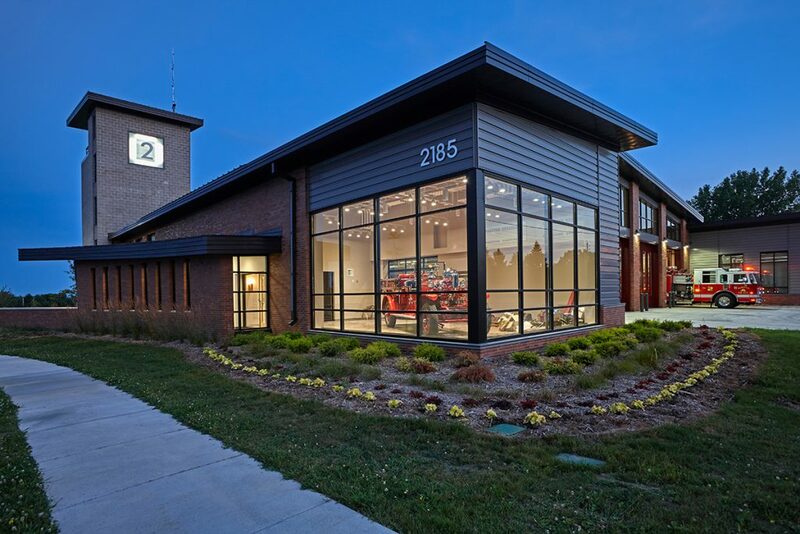 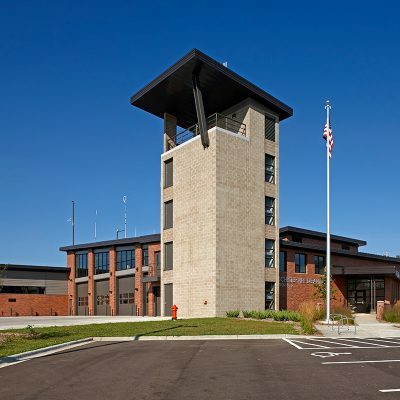 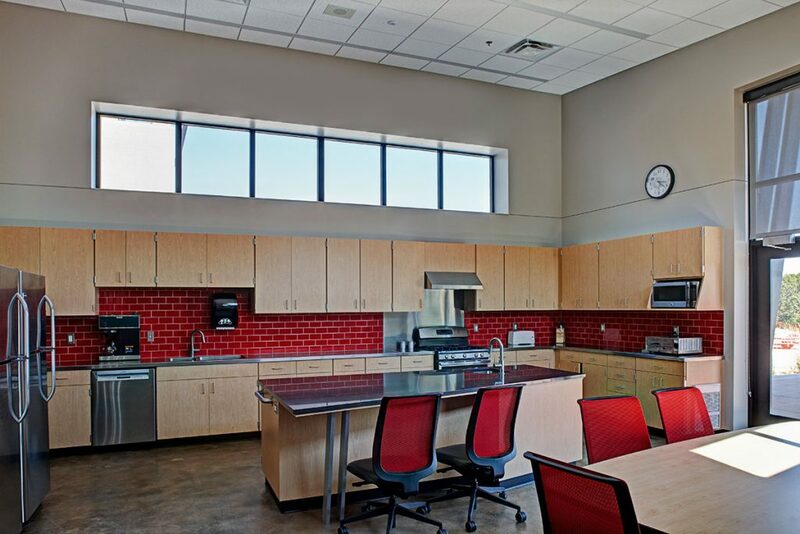 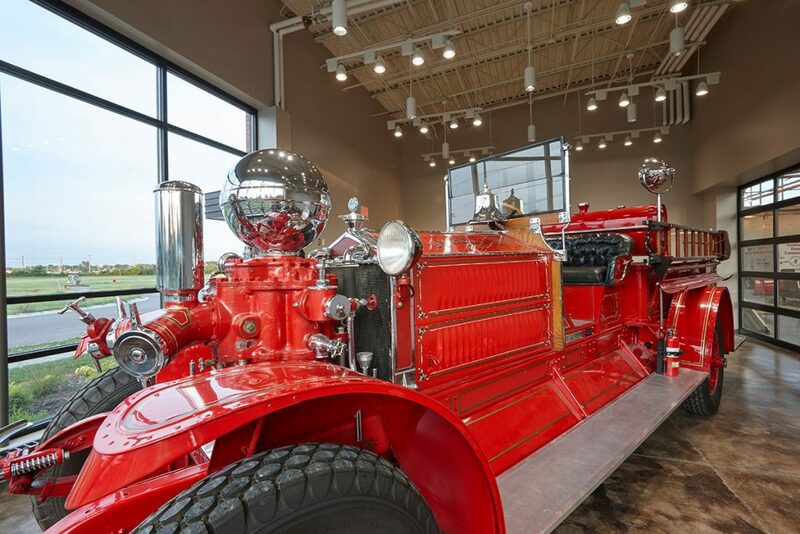 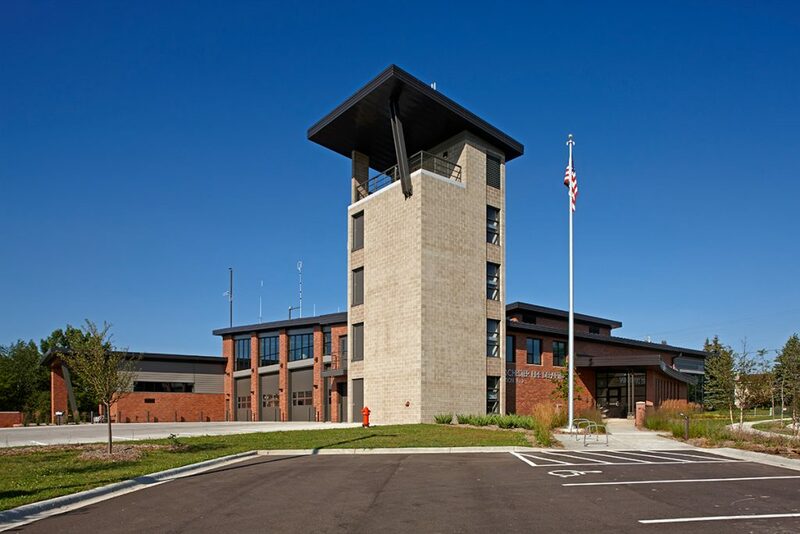 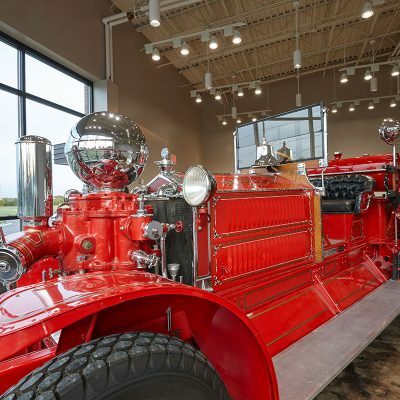 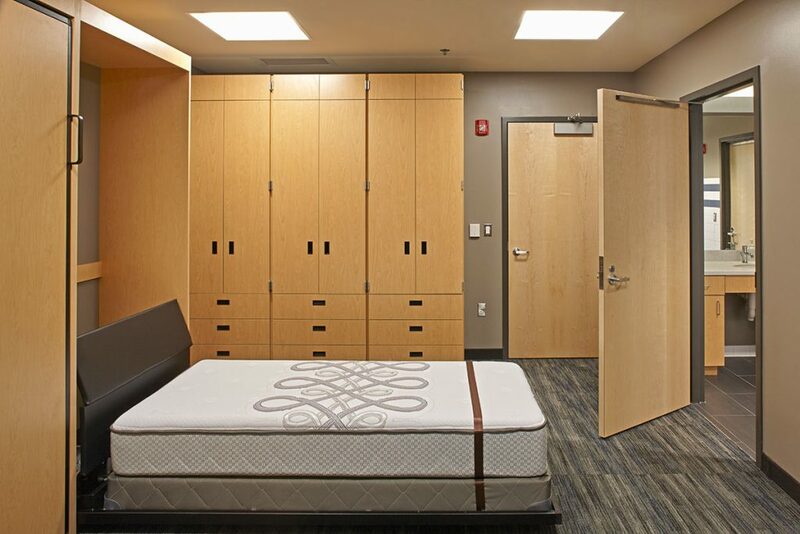 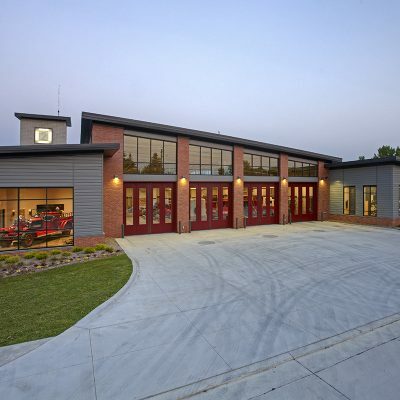 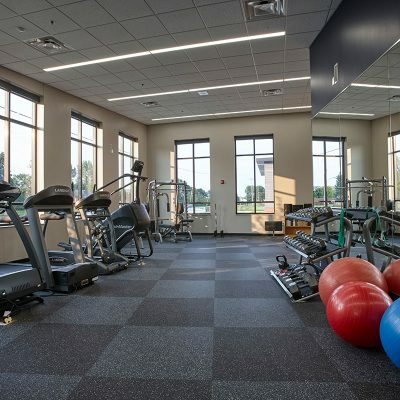 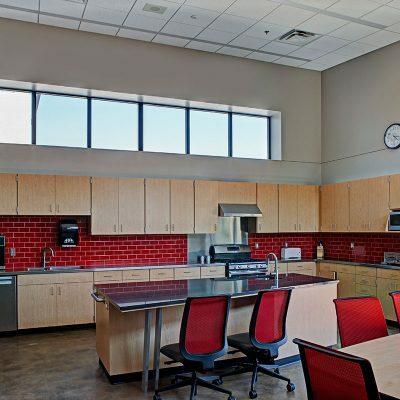 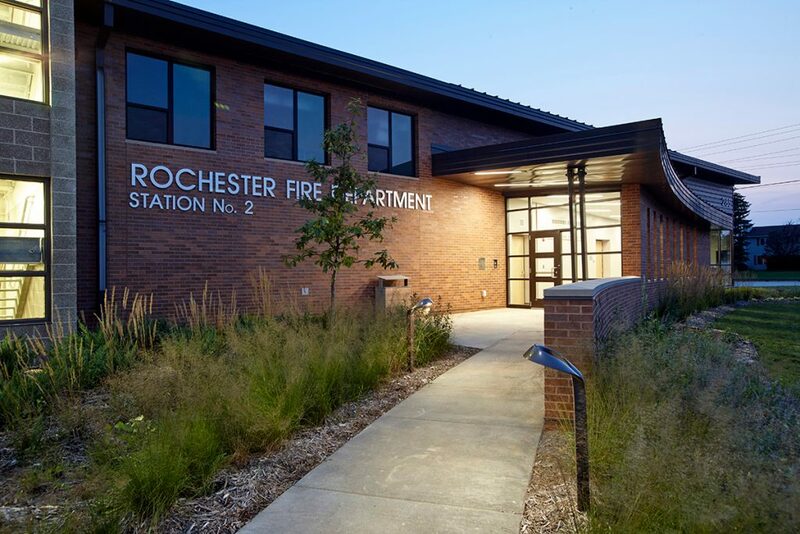 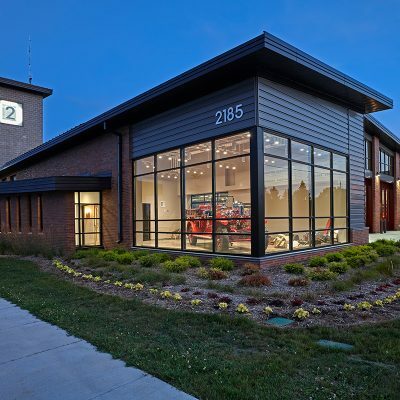 As a fulltime career department, Rocheser Fire Station #2 is designed to provide dorm rooms and operational space to support the long-term plan of 3 companies. 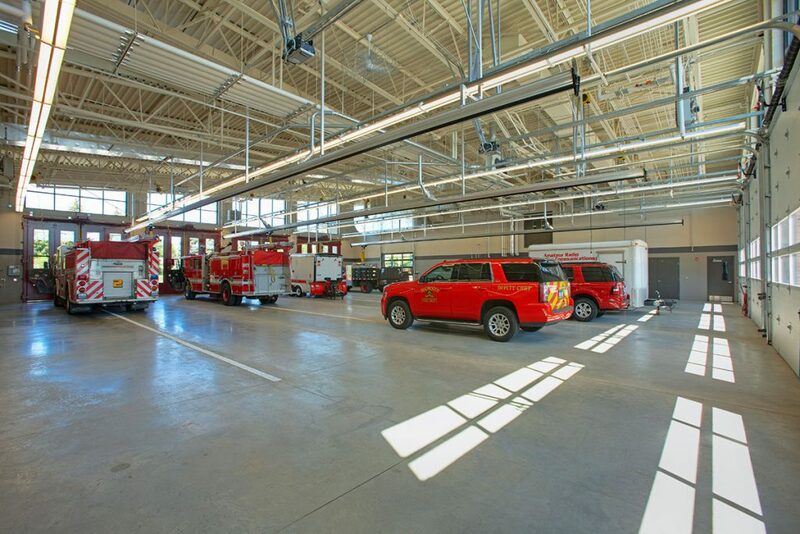 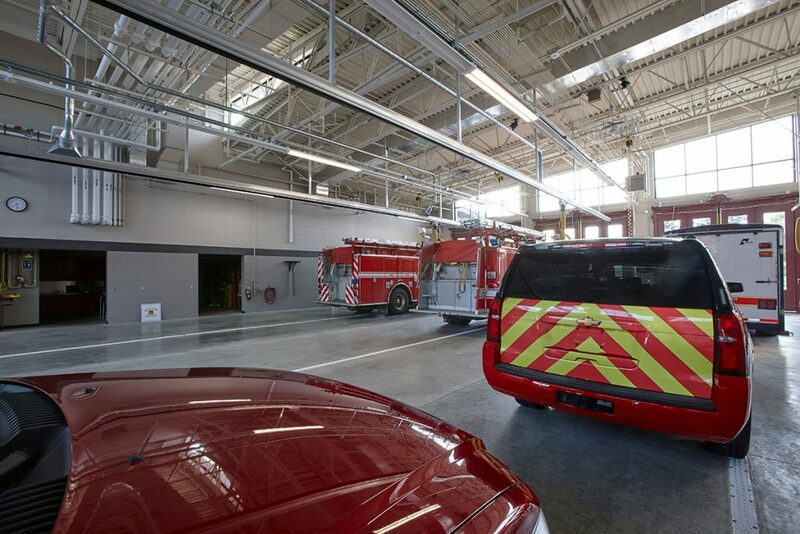 The station features 4 drive-through bays, many training facilities, including a five-story training tower, and will serve as an EMS supply depot and hose/ladder testing station for the entire department. 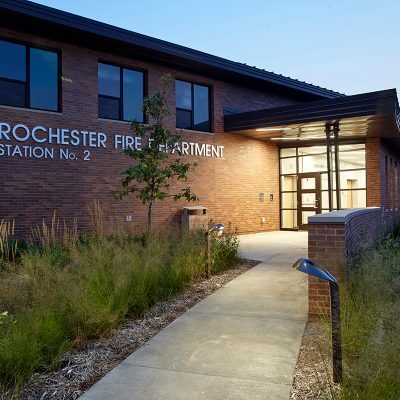 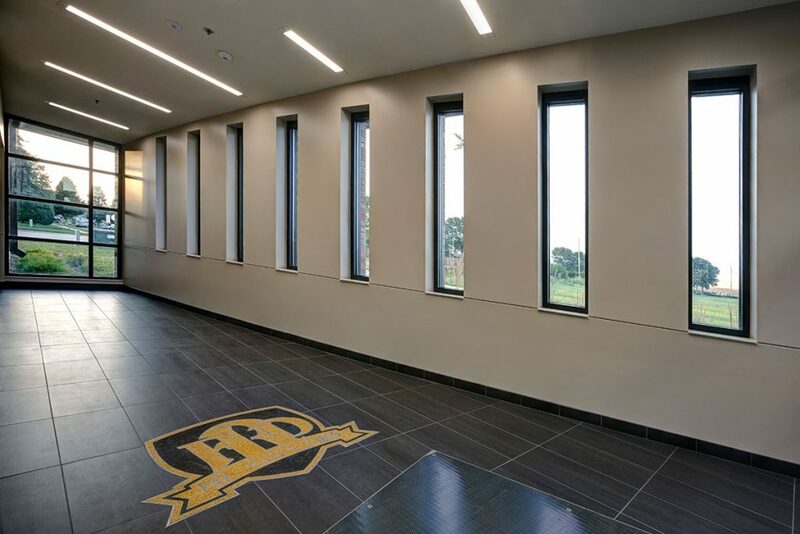 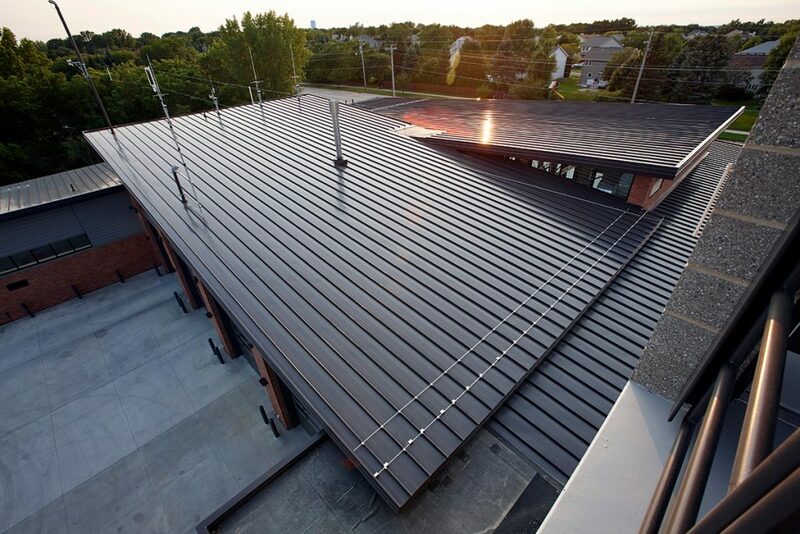 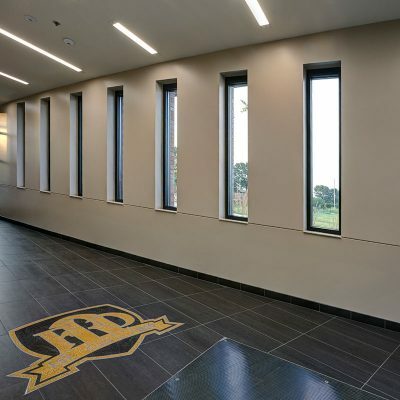 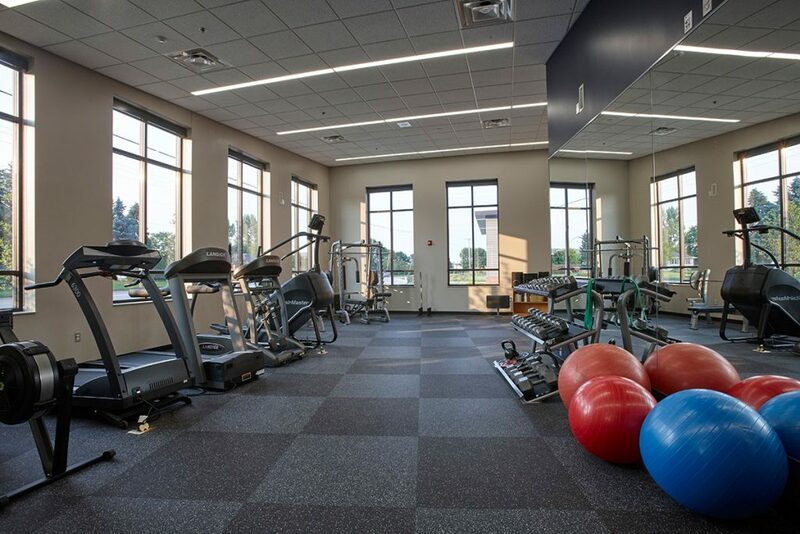 The building is also designed with a variety of energy efficient systems to minimize long-term operational cost such as a geothermal system. 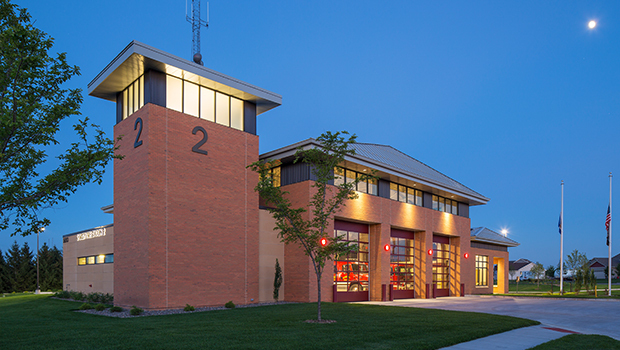 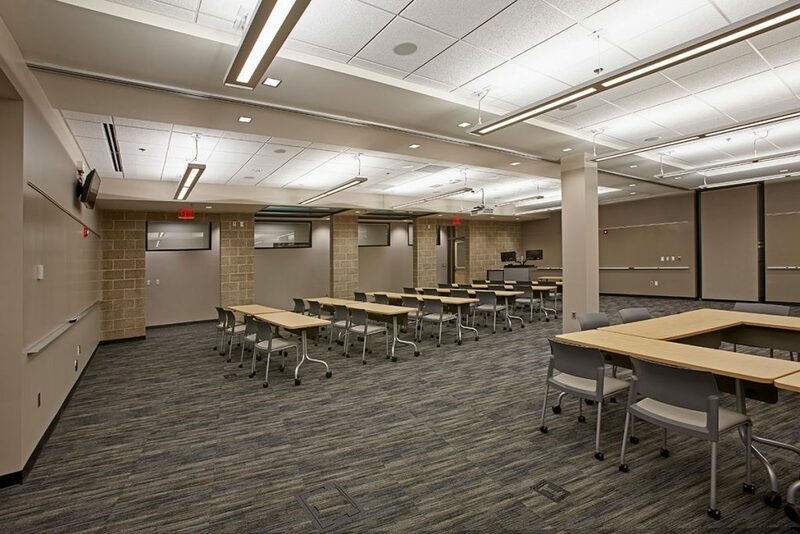 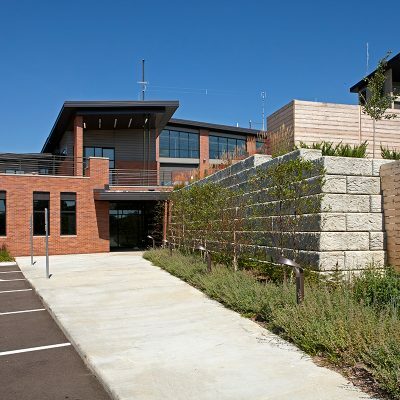 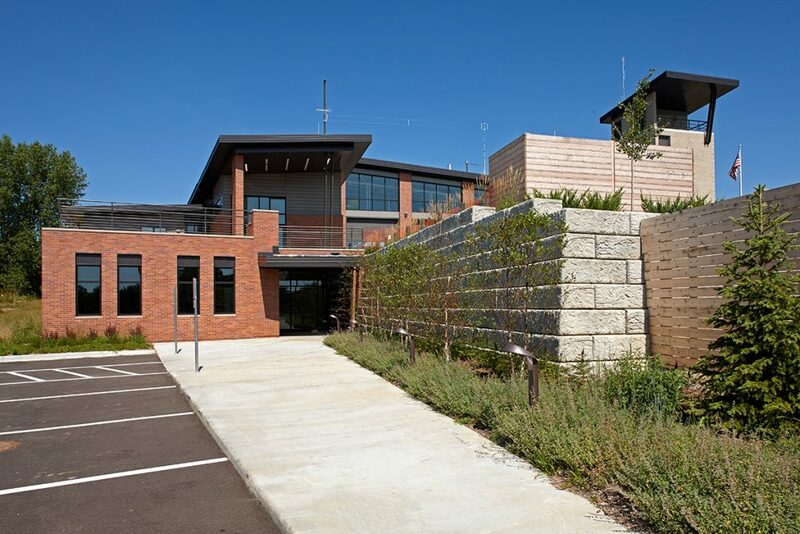 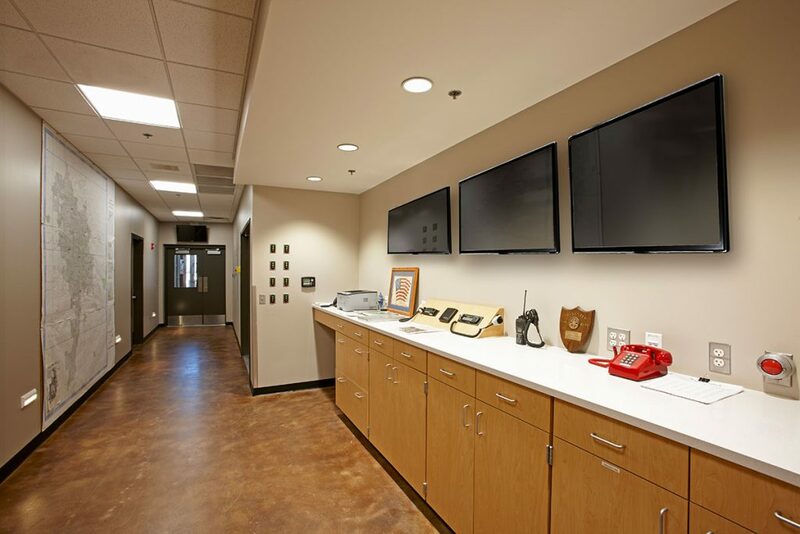 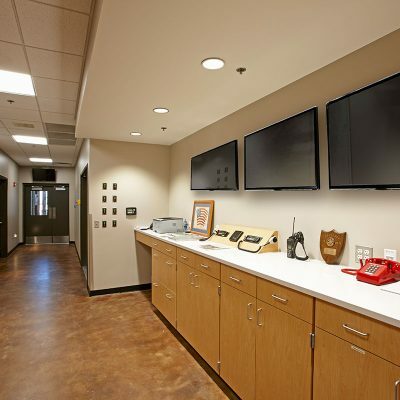 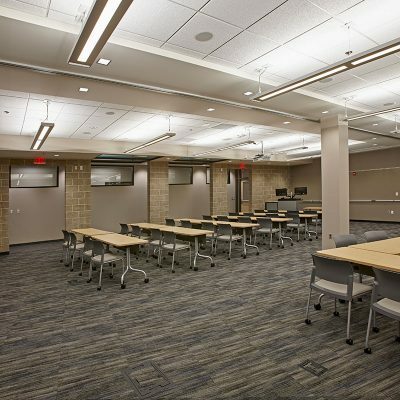 In addition to the fire department operations, the facility was constructed to provide complete emergency management operations for the city’s EOC and primary dispatch center. 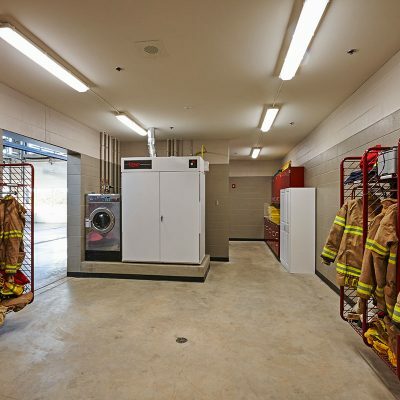 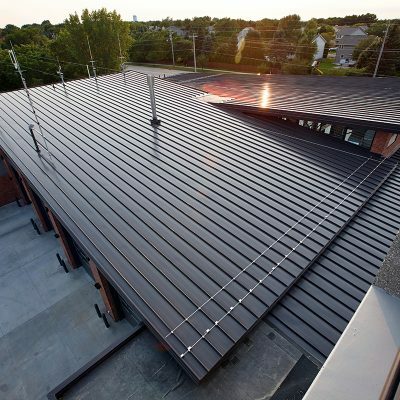 These areas were constructed based on FEMA guidelines for event resistant construction as well as redundancy of HVAC, communications and power systems. 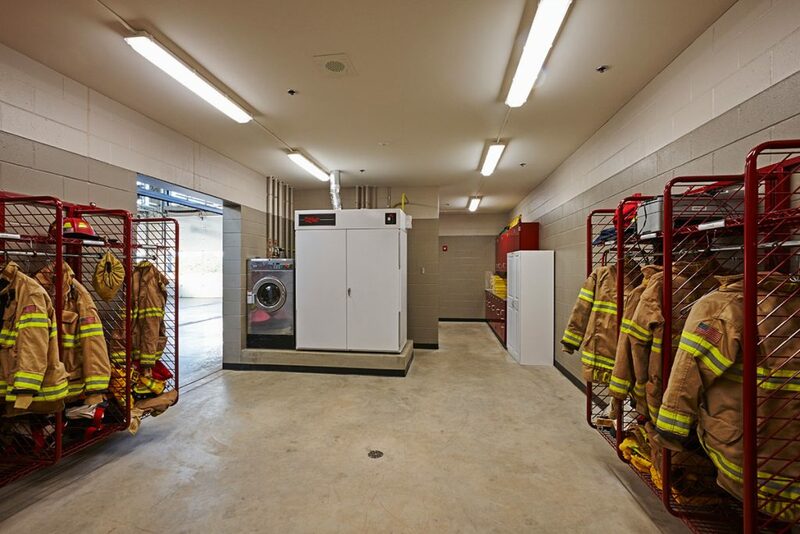 These spaces are located in the walk-out basement, allowing separate access so the fire station can remain secure. 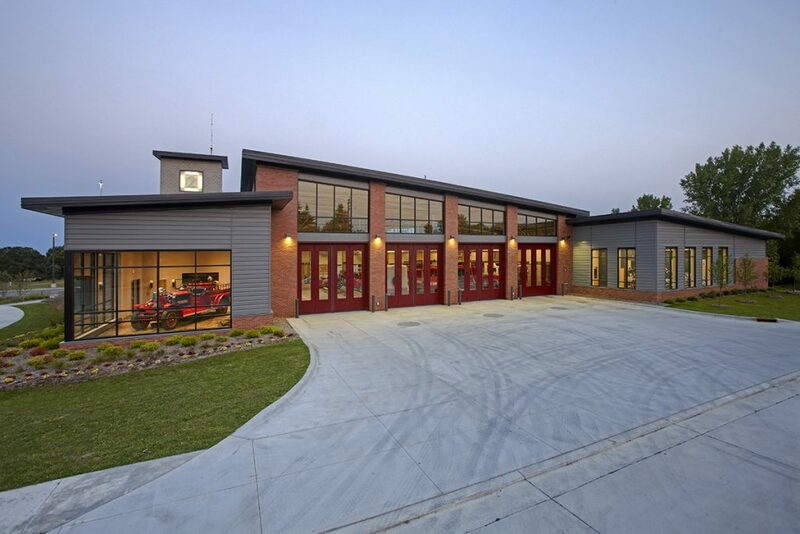 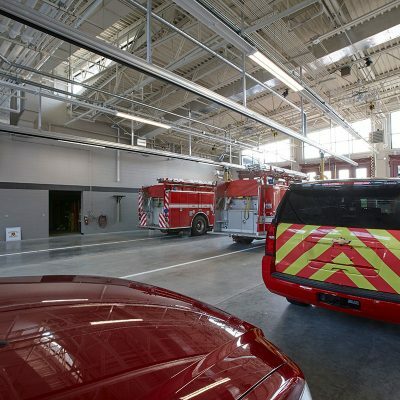 BKV Group engaged the Firefighter’s Advisory group throughout the process by bringing them on tours of newly completed fire stations, involving them in the design visioning workshop, and soliciting comments on the size and equipment in each room as well as the preliminary building layouts.